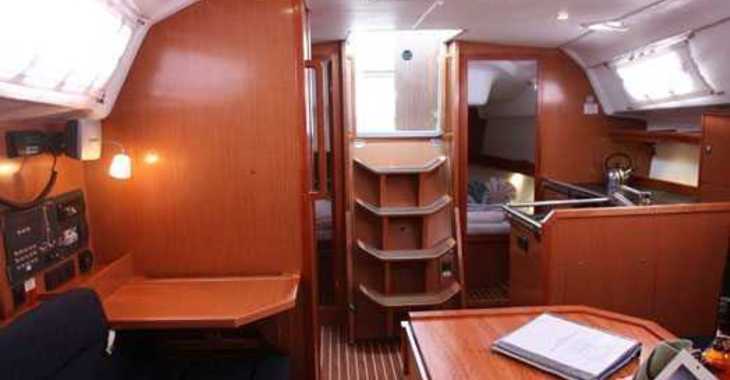 The Bavaria 35 3 cabin cruiser, (with a two or three cabin layout available), suits small families requiring the additional space, both in the cockpit and the aft cabin (s) afforded by the design carrying the beam well aft. 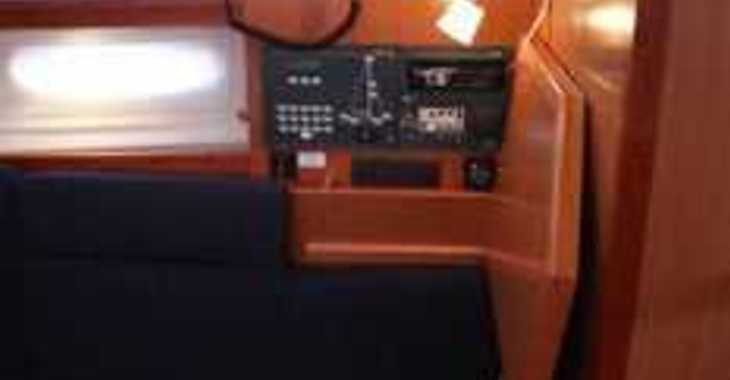 It is the perfect choice for a charter vacation. 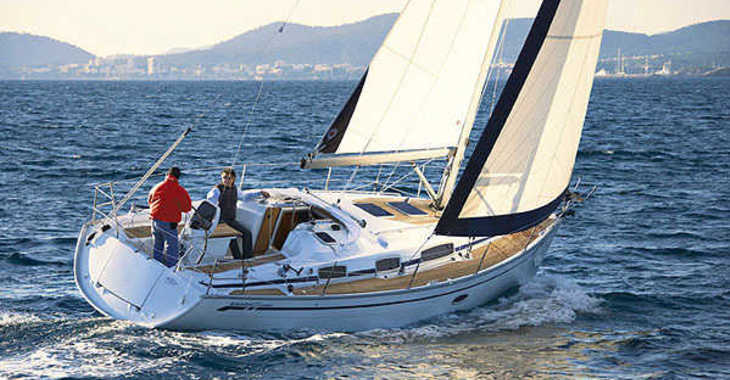 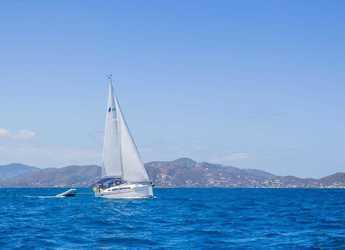 Being from the latest and most innovative designs from Bavaria, the Bavaria 35 is arguably the best performing 35 foot cruiser on the market. 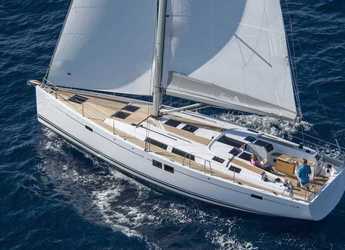 Bavaria’s new interior design, first seen on the stunning 43 Cruiser, has also been incorporated into the Bavaria 35. 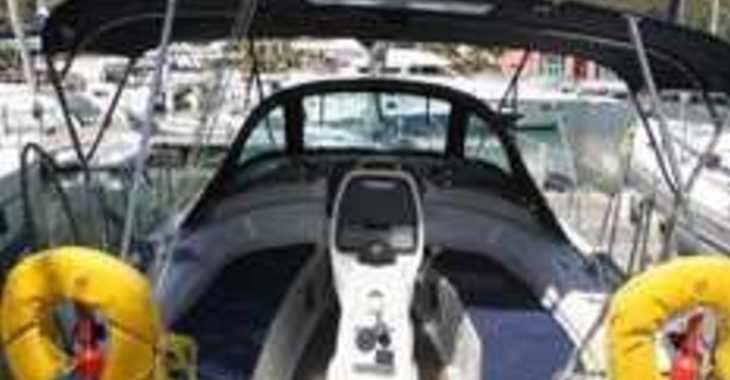 With a removable bulkhead in the aft cabin the layout in the stern is alternatively two equal cabins, one large and one small cabin, or one massive cabin alone. 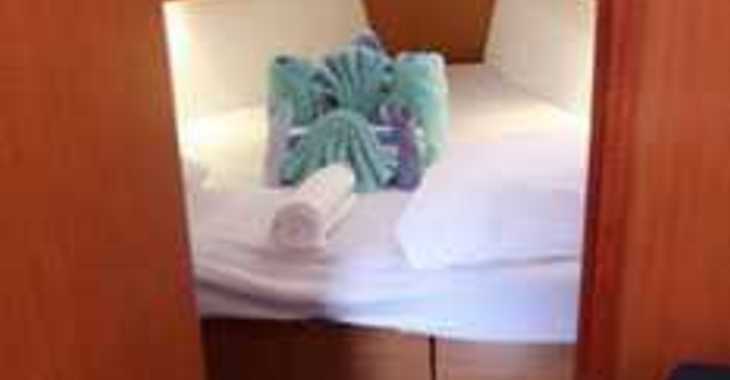 The forward cabin remains a very large and comfortable double berth, with standing headroom throughout. 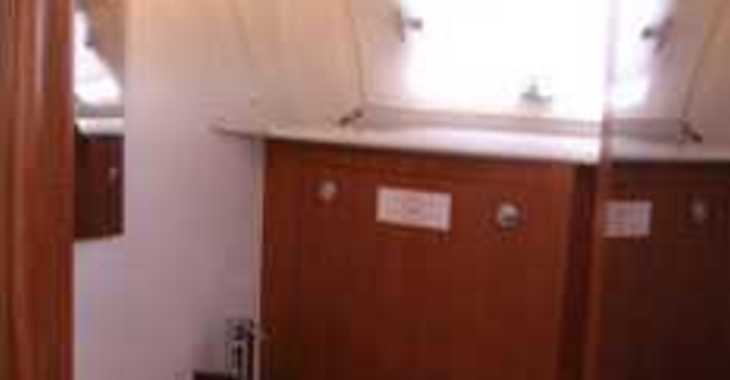 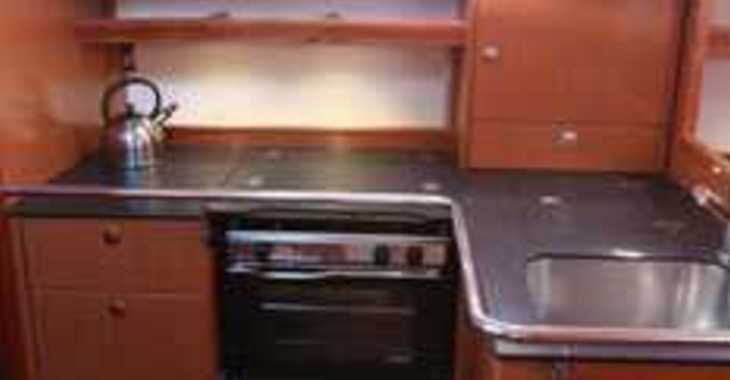 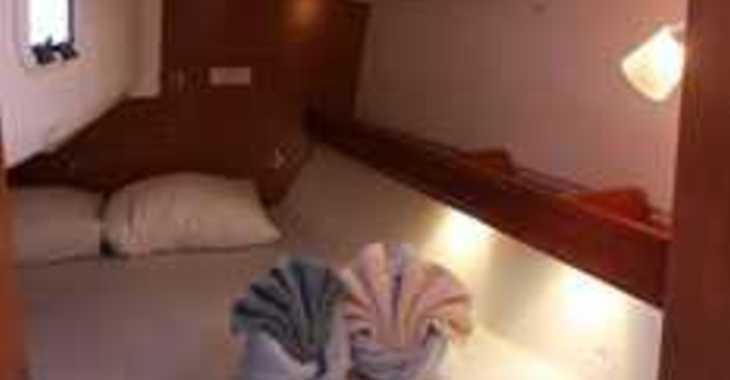 A roomy head and shower is located starboard aft and the galley is to port. 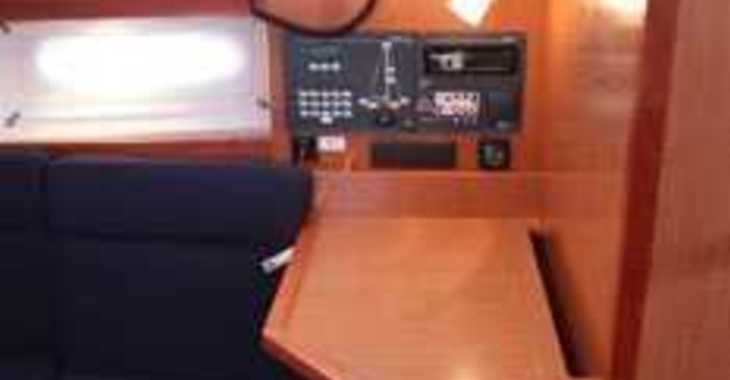 An aft facing navigation station, with a folding hinged design, stows away from being a convenient chart table, creating more saloon seating. 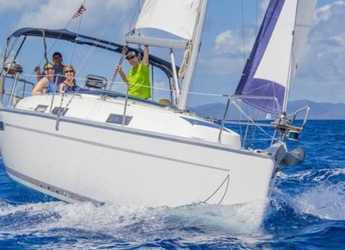 Given Bavaria’s well proven hull construction to the highest rating of Ocean category A, Selden rigging and a wonderfully balanced sail plan, the Bavaria 35 is a rewarding yacht to sail, with the family or short handed.